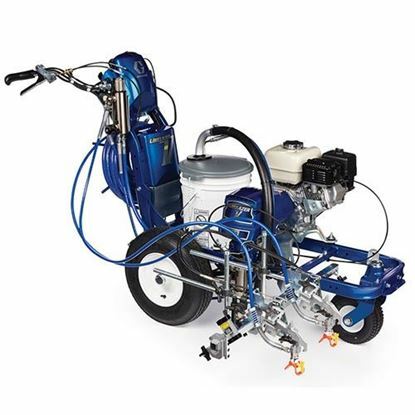 Graco LineDriver ride on attachment accessory for the LineLazer IV series of airless line striping equipment. Converts your LineLazer striper machine to a rideable unit which can double production and accuracy while reducing operator fatigue. 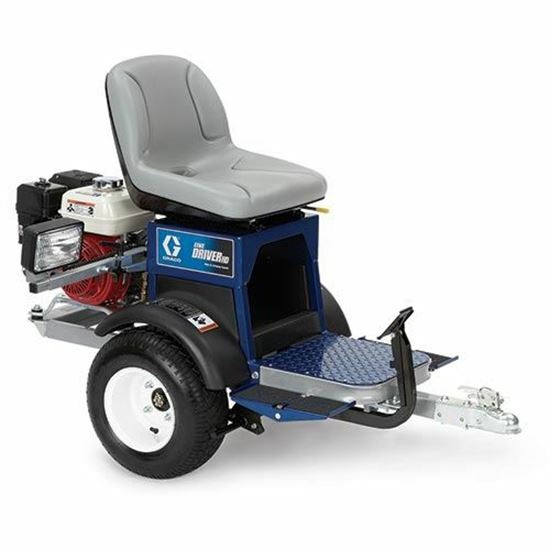 Great for large jobs, big parking lots and road striping. Is the speed that you walk hindering you production? Is walking miles on pavement day after day taking its toll on you? Are you fatigued before the day is done? Have you sustained an injury or developed a health problem that affects your ability to push and pull your LineLazer? If you have answered yes to any of these questions, this may be just what you need! Goes forward up to 10mph! 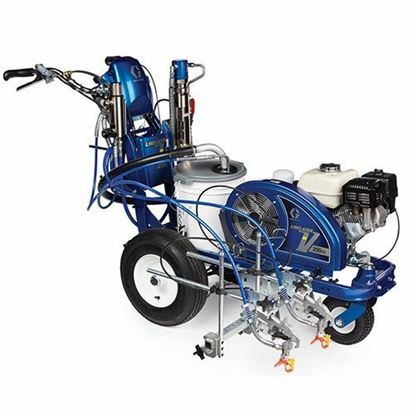 All Graco LineDriver Ride on attachments include hitch kit. 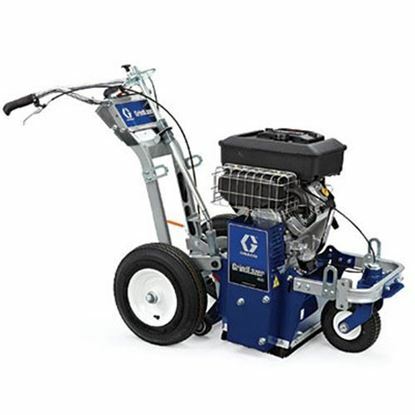 Graco has a complete line of high quality professional line striping equipment and accessories.